Liverpool midfielder James Milner has talked up the man-management methods of Reds boss Jurgen Klopp ahead of the Champions League final against Real Madrid. The former England international has been full of praise for Klopp, who has led Liverpool to their first European Cup final since they lost to AC Milan in the 2006/07 season. 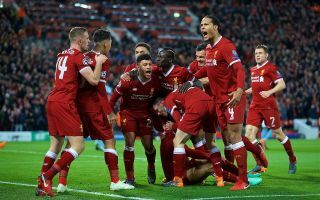 Liverpool have been superb in this season’s competition and look in good shape going into the final against Madrid, though the Spanish giants have dominated this competition in recent times with three wins in the last four years. Klopp will now need to mastermind something really special against Los Blancos, but Milner has explained why the German tactician always seems to know how to get his message across to his players. The 32-year-old has detailed how Klopp can surprise his team by reacting angrily when it’s not an obvious time to do so, and also giving more measured assessments of how it’s going even when it seems like they’re in for a telling-off. ‘There have been times at half-time, we thought he’d come in and go absolutely mental and he hasn’t and it was the right call,’ Milner told the Times. ‘Other times, you weren’t expecting a rocket and you get one. The best managers know when to give a rocket and when to put the arm round someone. ‘I love his passion and that he’s there for you every kick. There are times when he might say something because it’s the emotion, but there might be times that he might not agree with you and he goes away, thinks about it and then meets you halfway.